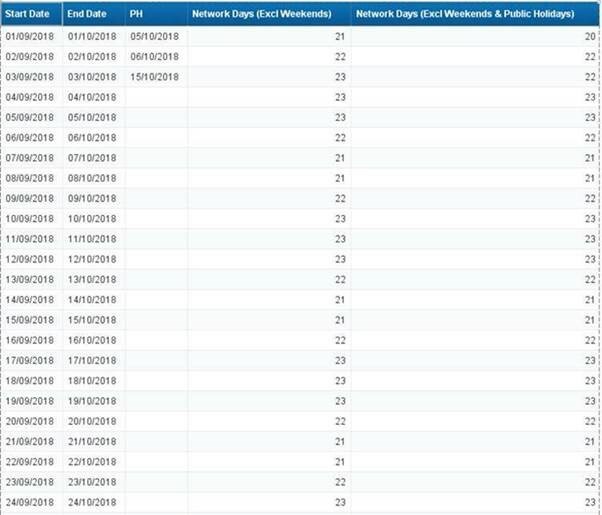 I have been wandering around to calculate Weekdays excluding Saturdays & Sundays and Public Holidays in WEBi, couldn’t find relevant post so publishing this – I am sure few of you will find it helpful. I was able to find Weekdays calculation though. If one gets a list of holidays, DATE OBJECT in Webi either in Excel or Universe or BW – doesn’t really matter which country it belongs to. All we need, Start Date, End Date & Public Holiday list – possibly all three in same format. If not, can be converted/formatted in WEBi anyway. Please review below example where I cooked a simple dataset for Start Date, End Date & Public Holidays. I hope you find this post simple and useful.